The Regional Affiliate Shentel that provides Sprint service from Virginia's Shenandoah Valley up into Central Pennsylvania is preparing to launch Network Vision improvements and LTE service in a significant portion of its coverage area on Black Friday. Many sites have quietly gone online over the past few months in these areas. However, a source close to the Shentel deployment has now provided S4GRU a list of all 125 sites that are planned to be a part of this formal launch the day after Thanksgiving. In total, there are 56 cities that will receive service in Northwestern Virginia, the Eastern Panhandle of West Virginia, Western Maryland and South Central Pennsylvania. Alcatel Lucent is the Network Vision OEM for Shentel and has been active in the market since June. Cities that will have launchable service by the end of this week include Harrisburg PA, York PA, Hagerstown MD, Martinsburg WV, Winchester VA and Harrisonburg VA and many smaller Shentel communities. There is a complete list below. Although this is a good chunk of Shentel territory that will be enjoying upgraded 3G and high speed LTE coverage, deployment is far from over. 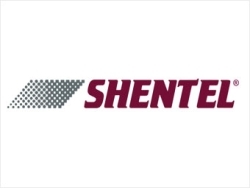 This launch only includes approximately 20% of the entire Shentel network. Alcatel Lucent and Shentel will continue with deployment over the next year bringing upgrades to all of Shentel-land. Many of launched areas will receive even more sites converted (for denser coverage and better performance) and the remaining Shentel communities will receive upgrades. Sprint customers with LTE devices can use Shentel's LTE service in the same manner they do in their home markets. Great news! Thanks for the update Robert! Do you think that on either on Black Friday or soon afterwards Sprint will release a statement where they add all these cities to their official LTE Market count list? Great news! Thanks for the update Robert!Do you think that on either on Black Friday or soon afterwards Sprint will release a statement where they add all these cities to their official LTE Market count list? I was able to pick up some of the glorious 4G as I was traveling through the area. I wish Shentel was able to pick up some more coverage areas from AL as they are much quicker updating their network. Overall good news. This is so awesome!! Sprint really needs to keep this up. So does Western Anne Arundel County, MD fall under the DC or Rockville rollout? All of Anne Arundel County is in the Baltimore market. It is not associated with the DC market deployment. The area is actively being deployed. Correct. Deployment will no begin in the Central PA market until some time next year. Were you in one of the coverage areas shown on this map: http://sensorly.com/map/4G/US/USA/Sprint/lte_310sprint#q=york,pennsylvania ? Did you try rebooting your iPhone? Our members have cataloged a lot of coverage in York, especially on the north side. However, it may not be in all corners of the city, yet. This articles discusses the first 125 Shentel LTE sites, not necessarily ubiquitous coverage in any specific area. Parking lot but picked up LTE outside of the Harley Davidson factory about 2 blocks from the hotel on 30. I was excited to hear the LTE coverage was available. I've used it in New Jersey in the East Brunswick-Freehold Area. Waiting for it to roll out to the rest of Central New Jersey. Cool, thanks! Will keep my fingers crossed for LTE to come south within the next couple months! P.S. At least I know if I got on vacation up in Western MD in the future, I will have LTE! I can already get it over in Bowie at my grandparents house..
Any further info on when 4G will be coming to Milwaukee? No detailed info about dates in the Milwaukee market yet. Work should be starting in the next 30-60 days.